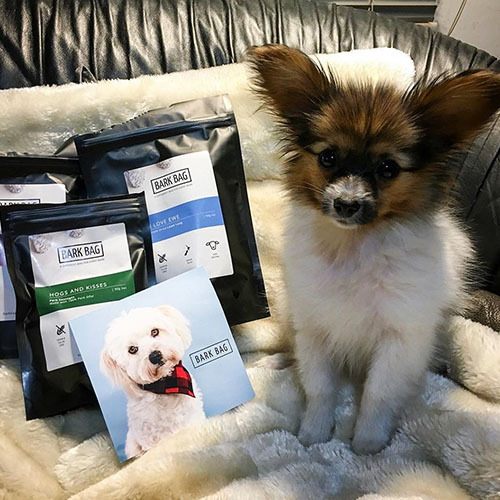 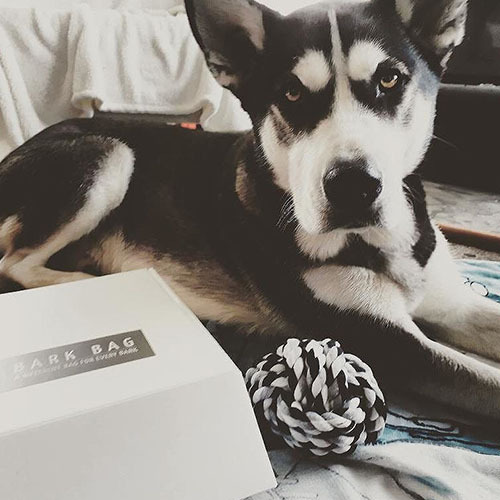 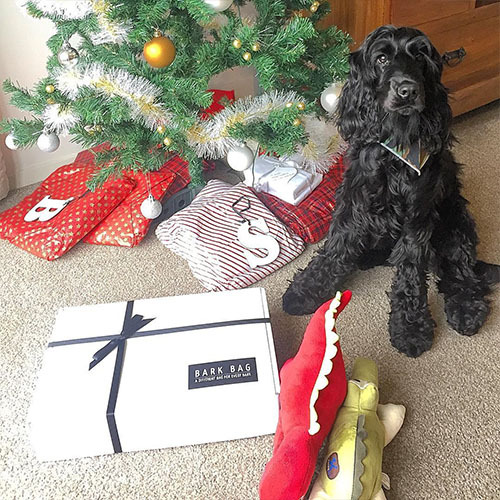 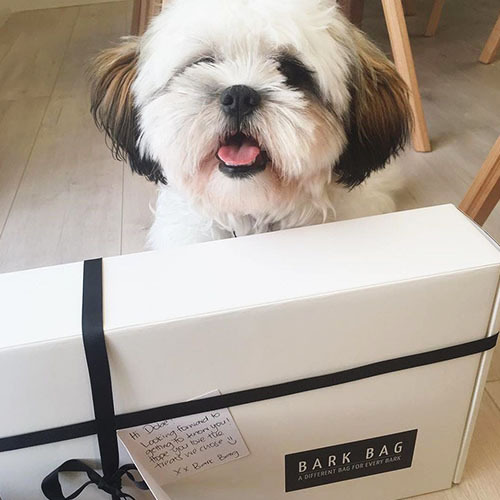 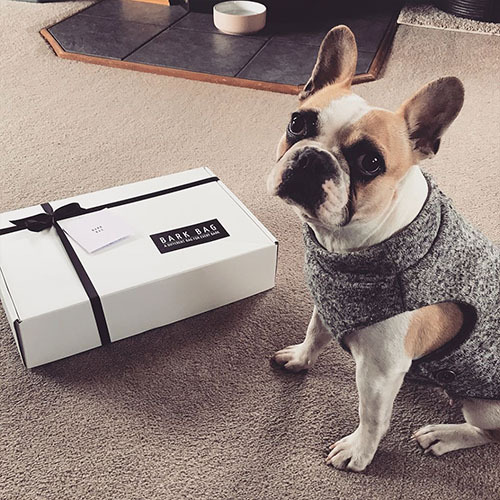 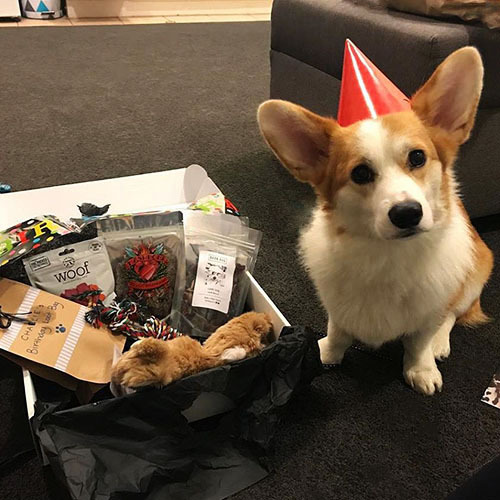 Bark Bag is a personalised subscription service that sends treats your dog will love. 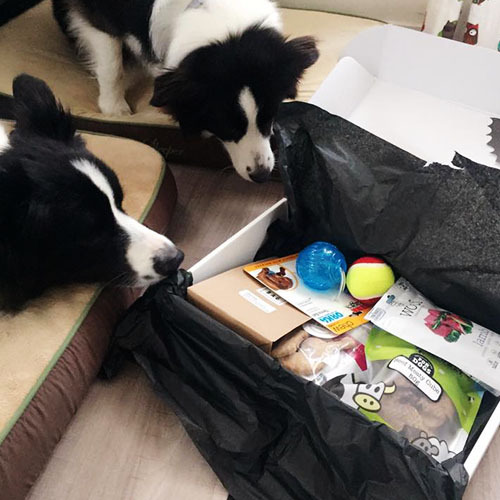 Discover new treats and toys and enjoy old favourites. 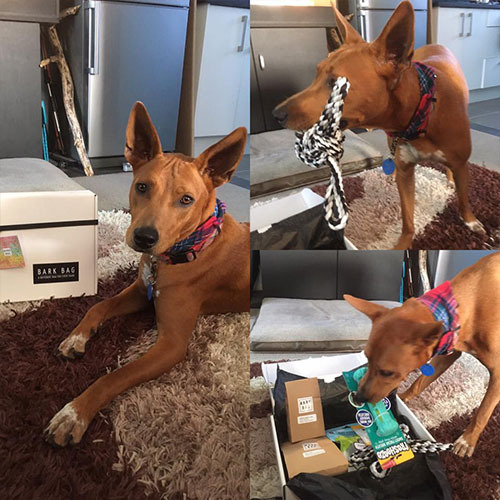 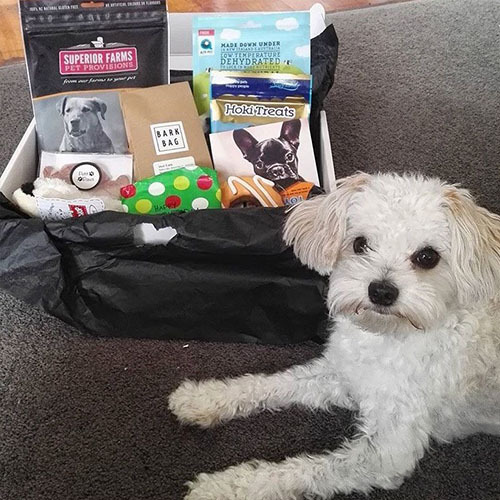 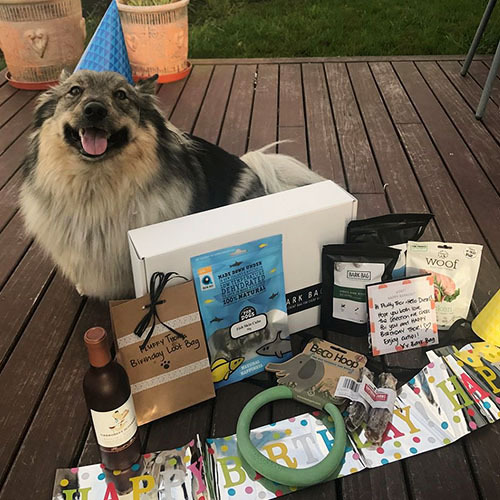 Bags come filled full of quality natural New Zealand made treats and super fun toys handpicked based on your dog's preferences. 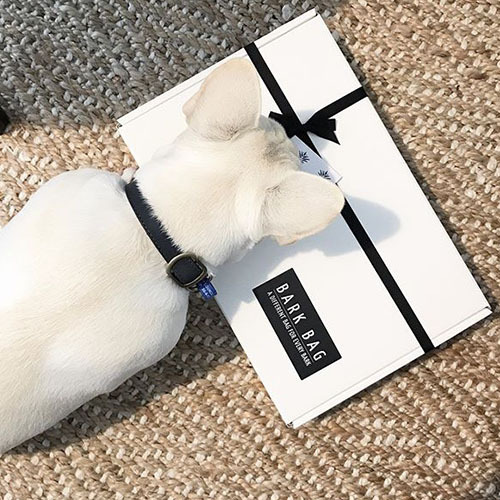 Tell us what your dog loves and we’ll use this to pack an pawesome bag. 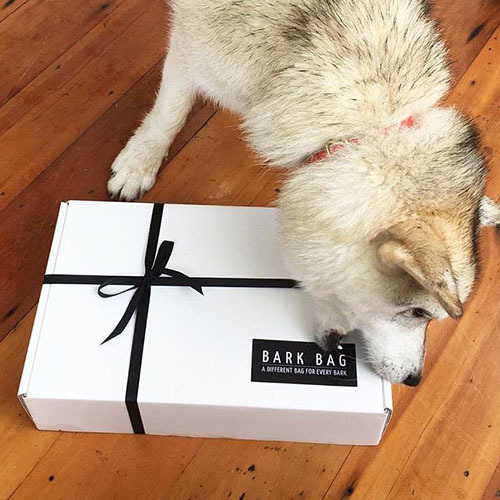 A Bark Bag containing hand-picked treats is delivered to your door. 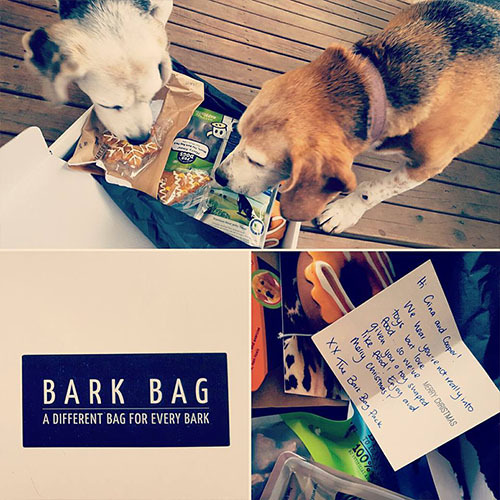 Rate each item in your Bark Bag to build your dog’s preference profile. 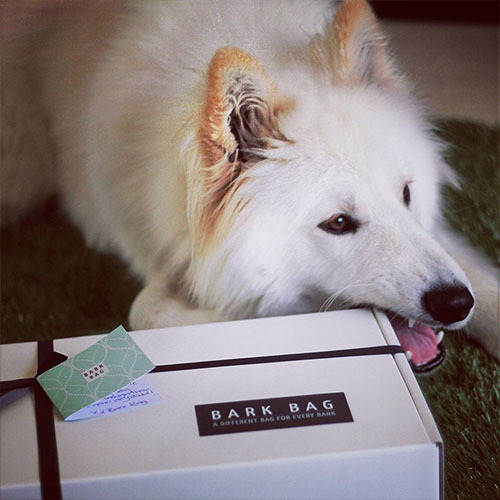 For every bag sold, Bark Bag will donate a meal to feed a pup in need. 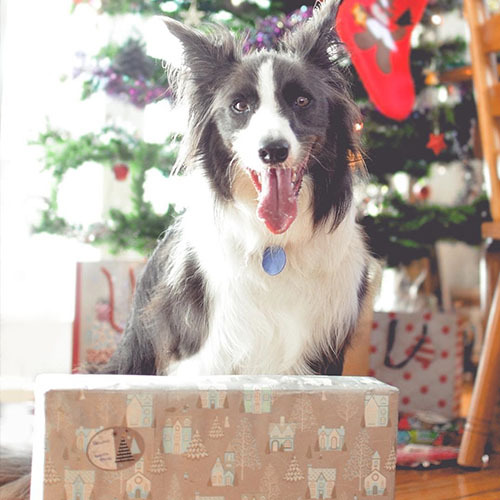 Plans automatically renew, cancel anytime. 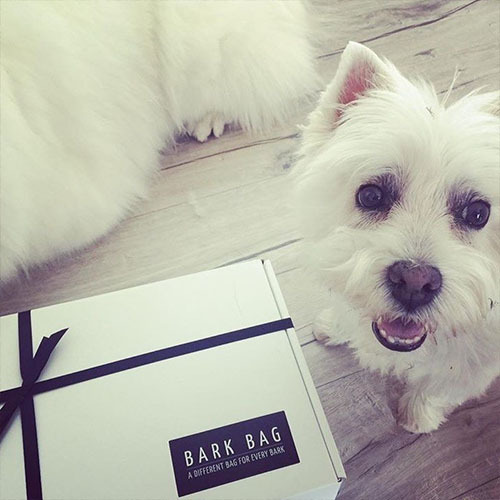 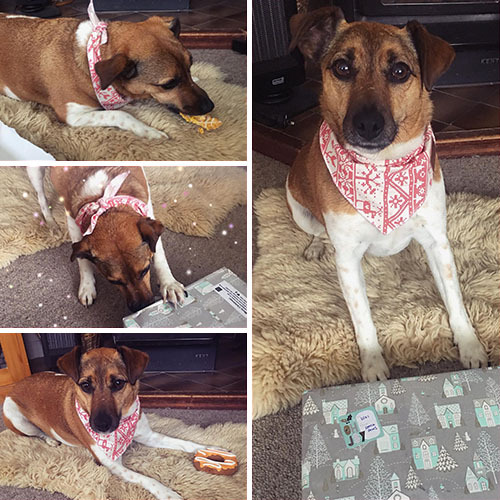 Bark Bag is a fully customised service, each bag is individually packed for your pup. 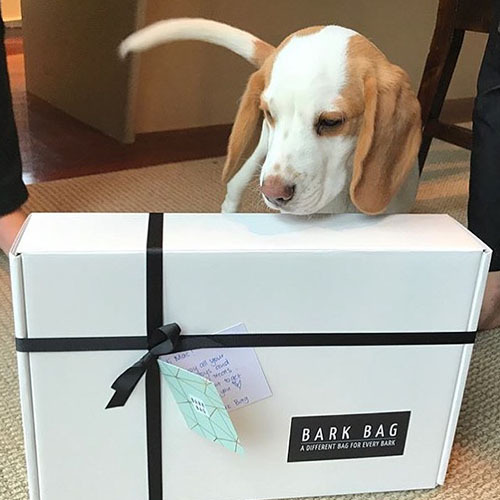 Our bags keep getting better as we get to know your pup. 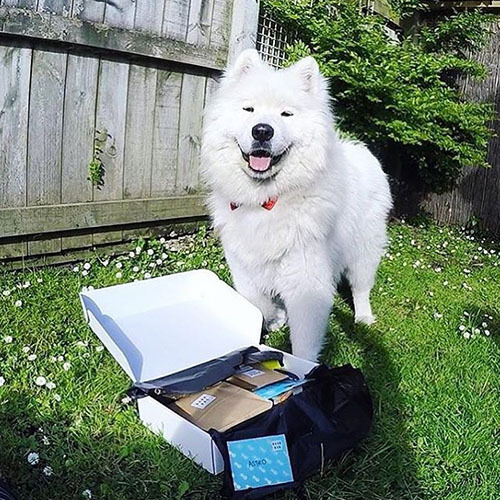 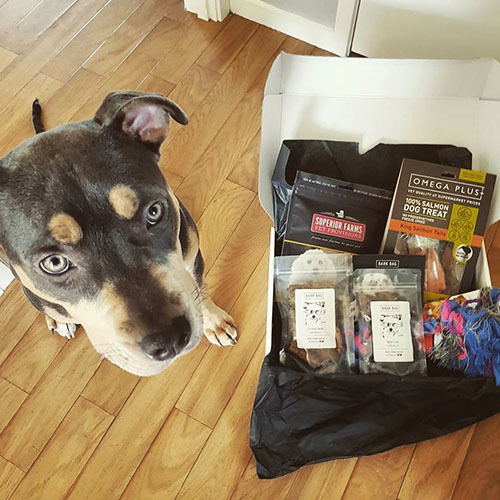 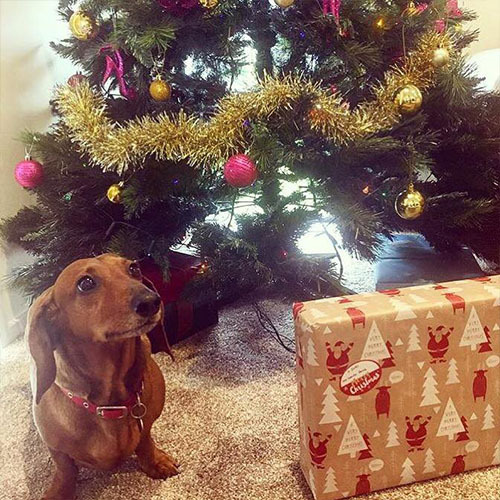 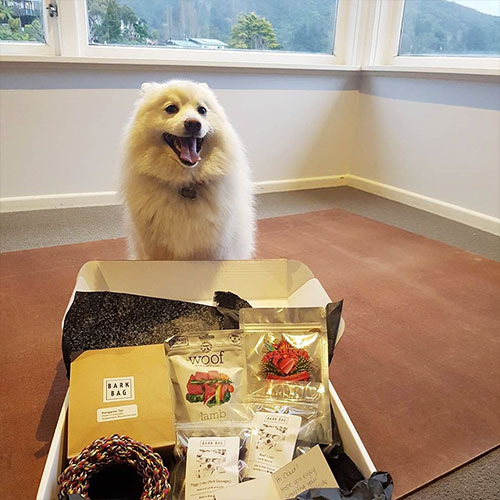 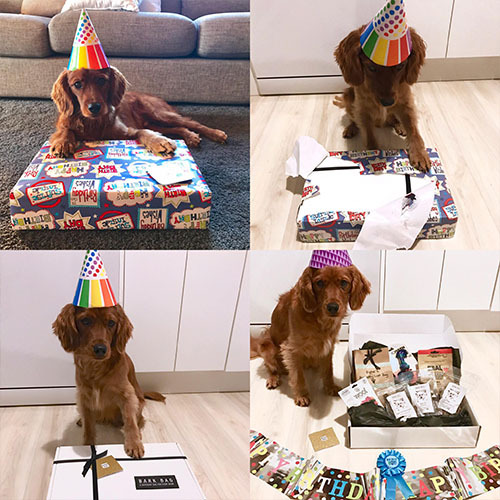 Each bag is filled with 5-7 treats and toys carefully selected for your dog from a range of premium natural dog treats with a focus on New Zealand suppliers. 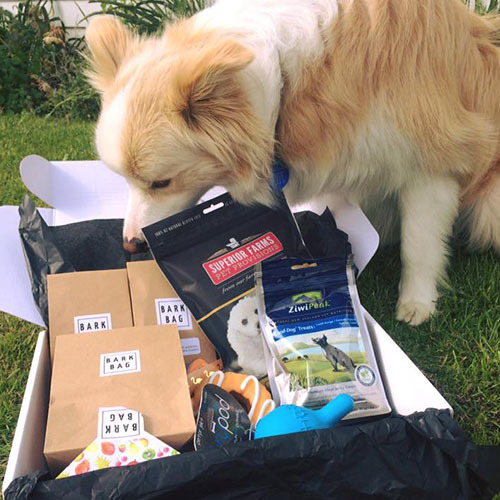 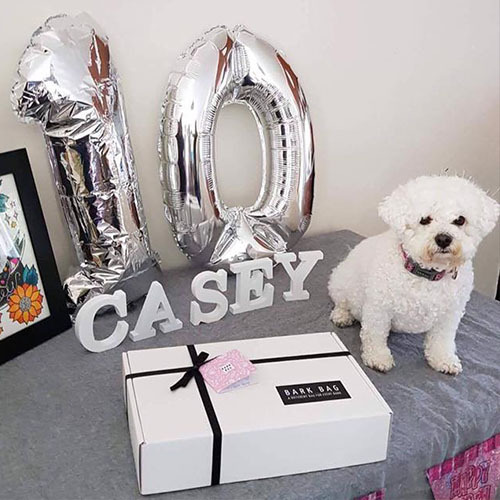 We love to feature small boutique brands and introduce your dog to new treats we think they'll love each month. 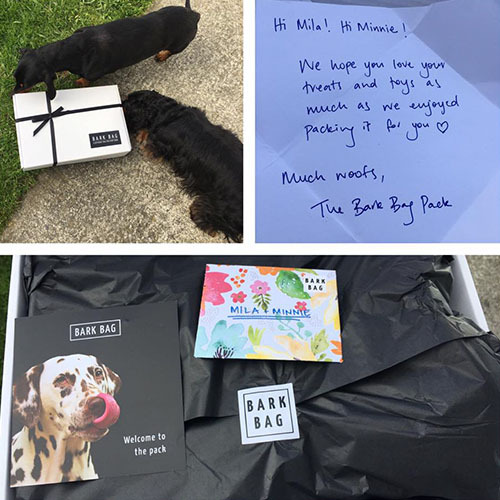 At Bark Bag, our mission is to only send treats that you and your dog love. 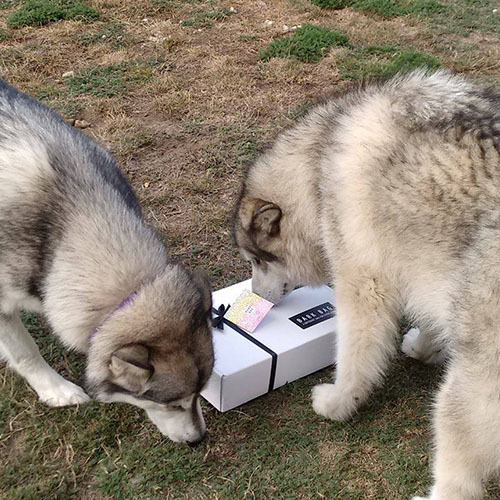 We don't just ship the same old stuff to every dog. 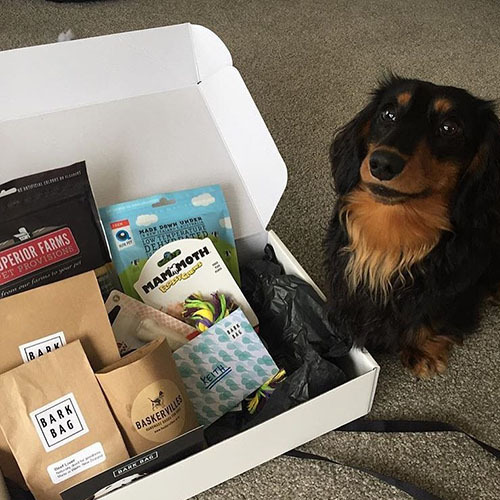 We use machine learning to build your dog's preference profile over time and send you similar treats to those previously loved. 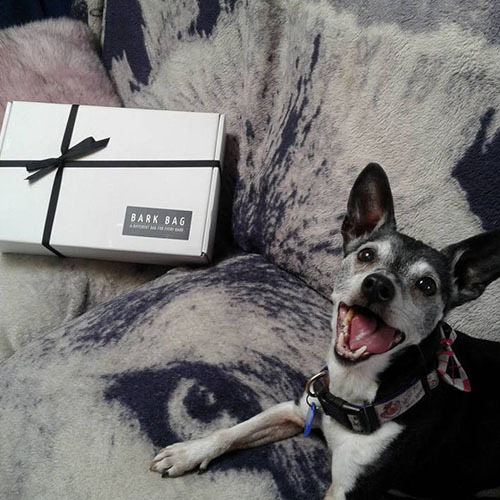 We look forward to getting to know you and your dog and we hope you love the experience! 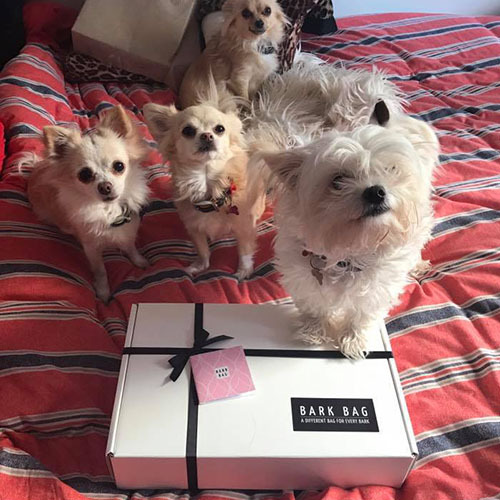 Keep up with the pack, sweet offers and dog pics ahead!